According to Cliff Harald, the executive director of the Boulder Economic Council, Boulder’s future looks bright in spite of the damage from summer’s flood and the continued drag it has had on the economy. In a recent interview with the Boulder Daily Camera, Harald said that business expansions and hiring are up and that real estate vacancy rates in Boulder have fallen. More bright notes, Harald stated, include millions of venture capital dollars that are being invested in Boulder companies. Additionally, there are increased revenues for the state and local governments. However, Harald noted, the community is facing “severe and widespread” damage from the flood and years of recovery from it. While the recovery causes an increase in business for some industries, such as construction, it represents a hardship for the community as a whole. In addition to the multi-million dollar flood recovery, he stated, companies are challenged with finding employees who have the skills they need and with a shortage of workforce housing. Still, the businesses that the Boulder Economic Council works with nearly all say that they’re planning to stay and to expand in Boulder. Further, more companies are coming in. Harald reported that there was a 50 percent increase in inquiries last year from businesses considering relocating in Boulder, and four small businesses have already stated that they plan to relocate here in 2014. The Boulder community and its economy undoubtedly face a long road to recovering from the 2013 floods. 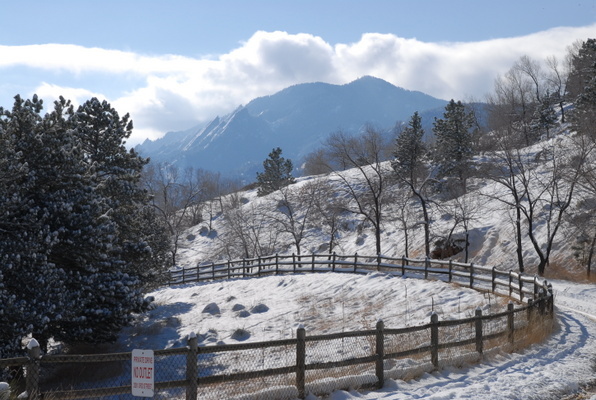 However, when it comes to a community, Boulder is a strong one. And when it comes to the economy, Boulder continues to thrive and to provide an excellent quality of live for those who live and work here. Housing Helpers is proud to be of service for those who plan to relocate to this great community. Whether you’re looking for workforce housing or housing for your own family, it helps to have the experience and knowledge that decades of work in Boulder real estate can provide. For more information, contact us today. To learn more about the Boulder Real Estate Market contact Stephanie Iannone at 303.545.6000. This entry was posted in Boulder and tagged boulder floods, Boulder Real Estate, Boulder Real Estate Market, Boulder Relocation on January 30, 2014 by Stephanie Iannone. Housing Helpers of Colorado, LLC has entered into a partnership with local Governmental and Nonprofit Agencies to locate temporary housing accommodations for residents displaced by the flood. It has been determined that the greatest housing need is for rentals with 30-60 day leases. Therefore, Housing Helpers is offering a Flood Assistance Program where landlords willing to lease their rental properties to persons or families displaced by the floods on a month to month or 2 month lease term can advertise their properties with Housing Helpers for free. Landlords wishing to participate in this program can contact Housing Helpers at 303-545-6000. Housing Helpers will also advertise rooms in homes through this program. Residents displaced by the flood are also encouraged to contact Housing Helpers to be connected with participating properties. For more information call Housing Helpers at 303-545-6000, visit our website at www.housinghelpers.com or stop by their office at 2865 Baseline Road, Boulder, CO 80303 at the corner of 28th and Baseline Road. Office hours are Monday-Friday 8-6 and Saturday 9-5. This entry was posted in Boulder and tagged Boulder County Emergency Housing, Boulder County Flood Resources, Boulder Flood Housing, boulder floods, boulder lodging, Temporary Housing Floods on September 30, 2013 by John Iannone. Will Colorado floods affect property values? The September floods in Colorado are, by many accounts, the worst case scenario. These conditions are the sort that cities consider in the creation of new flood plans. 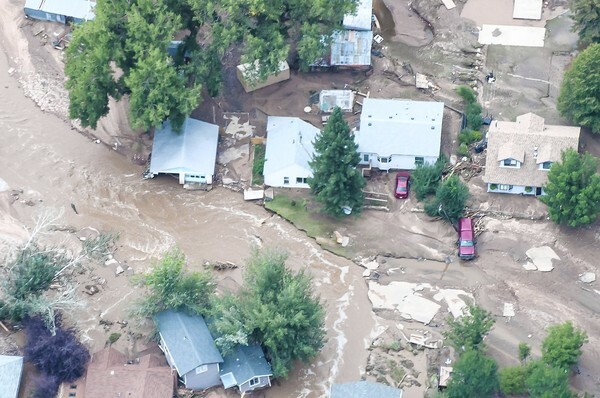 Without a doubt, the floods will change the lives and the way of life for many Coloradans. But will they have an adverse impact on property values in Colorado? At our Housing Helpers Boulder office we are already getting this question from homeowners, prospective home buyers, and landlords alike. Boulder Colorado, a place historically where property values have managed to stay relatively insulated from economic recessions, stock market crashes, terrorist attacks, and more. Could the floods of epic proportions be the event that actually bring Boulder’s property values down? According to a study found on the City of Boulder’s website, maybe they will. Maybe they won’t. The study, published by Stephen Yao of Risk Frontiers – NHRC and Macquarie University, whether a property’s situation in a floodplain impacts its values or not depends on the premium placed on waterfront properties in the area. Some waterfronts are so in demand that owners are willing to take the risk of the 100 year flood in order to have the views and the conveniences of living close to the water. Whether or not property values decline after a flood has taken place also vary from study to study and region to region. One point emerges from the various results, however. Being located in an area where a flood has occurred is more likely to impact property values than being located in a floodplain. How long adverse impacts of flooding on property values last depends on how extensive the damage was. As Boulder and the region recover from the floods over the next days, weeks and months, the impact of this month’s events on the real estate market are uncertain. Those of us in the industry will most certainly be paying attention to the situation, because the people we serve are relying on our experience in the area and our knowledge to make important decisions regarding the buying and selling of properties in the area. More importantly for now we are simply focused on helping our neighbors, friends, and family to clean up and restore their lives to normalcy as much as possible. For many of us it will be months, if not years, before the reminders of this epic event will be erased. This entry was posted in Boulder and tagged Boulder County Floods, boulder floods, Boulder Home Prices, Boulder property values, Boulder Real Estate Market, colorado floods on September 19, 2013 by Stephanie Iannone. By Stephanie Iannone at June 26, 2014 .